Even in the world of smartphones, tablets, and laptops, 27 million business cards are printed daily. They still hold an important part in the business world, no matter how advanced we get. Even in today's digital age, 27 million business cards are printed daily. The economy continues to grow with new small businesses. Today, there are 28 million small businesses, but that number is forecasted to keep growing. How many business cards are thrown out within a week? Of the 10 billion cards printed each year, 8 billion will be tossed within a week. That's 88% of the cards printed. Despite the 8 billion cards being tossed, a company's sales increase 2.5% for every 2,000 business cards handed out. What's the number one reason people throw business cards away? People today live in the moment. They throw business cards away because they don't need the service now. Unfortunately, 63% of people feel this way, and throw the card away without a second thought. What is the average cost of a business card? The average business cards cost anywhere from $10 to $500. The average spent nationally is $194. The cost of a business card depends on the quality and complexity of the card itself. The range varies based on who makes the cards. For example, Vista Print offers 250 free business cards to new customers. You can't choose the material and must use a basic design, though. Hiring a professional to design and create your cards could cost closer to the $500 range. What is average cost of having a graphic designer design business cards? Many graphic designers charge per hour. The average per hour rate in the US is $68.50. The amount charged varies based on location and complexity of the work. What is the world's most expensive business card? The Black Astrum Signature Card, coming in at $1,500, is the world's most expensive business card. Studded in 30 carats worth of diamonds and made of Swiss metal, the cards are sold in packages of 25. The $1,500 cost is per card. What information should you include on a business card? What is the average size business card? A standard business card measures 3.5" x 2". The outer 1/8th-inch of the card is the "bleed" area. It allows for the design or background to complete the card, minimizing any white space. Should you have white space on your business card? The cardinal rule of business cards is to keep it simple. Overcrowd it and clients will toss it in the trash. You want balance, readability, and comprehension. Each of these is only obtained with the right amount of white space, even if it's not "white." Should you use more than one font on your business card? Choosing the font can be overwhelming. With hundreds to choose from, you may want to choose more than one. While acceptable, make sure you only choose one serif font and one sans serif font. Designers use serif for headings and sans serif for the body. Mixing up more than one of each can create clutter. What's the importance of a QR code on a business card? QR codes instantly provide information that you couldn't fit on the business card. They can point clients to an app or your company's website. Almost 50% of businesses use QR codes in some component of their marketing plan. If you don't want your business card to be one of the 88% tossed, add a photo. It makes the card more memorable. Of course, that photo must tie into your business somehow. It can be a photo of yourself. It can also be a photo that signifies your business. The goal is to make the card as enticing as possible. What is the most common business card mistake? Don't choose cheap paper. That's the number one mistake. People judge your business on your business card. It's often their first impression of your business. If you choose low quality paper, they may assume you provide cheap quality products/services. The corporate world is still filled with business cards. It's the number one networking tool. It's the icebreaker during a meeting and the branding when you part. Small businesses, however, need business cards just as much. If nothing else, it gives a small business a professional appearance. It lets potential clients know your business is "real." Even in today's technologically advanced world, it's a breach of etiquette to not have business cards. People expect them. Attempting to network without them is a big mistake. How do business cards continue to market for you after personal interaction? Business cards continue to network for you long after you part ways with a potential client. It lets the other person know you have a legitimate business. It also lets them know you encourage future contact. How much longer do people hold onto colored business cards than white cards? Studies show that prospective clients hold onto colored cards 10 times more than white cards. But again, they have to be attractive, uncluttered cards for them to be effective. 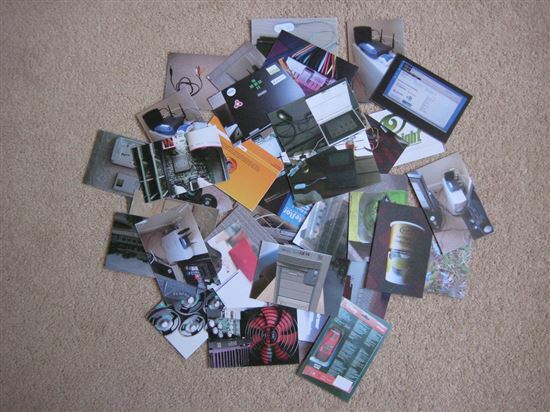 How can using recycled paper for your business card help your company's image? Using recycled paper lets clients know you care about the environment. Given the fact that 88% of business cards are thrown out, you can show your support by using recycled paper. How do business cards change a person's impression of you? Business cards make you look prepared and not "cheap." A quality card with a great design gives potential clients a good feeling about your business. Handing out a cheap quality business card makes the other person feel as if you don't care about your business. How do people save business cards in a digital file? Even though it's common business practice to hand out business cards, not everyone saves them. Before the 88% of recipients throw them out, though, many scan the card into an app like Evernote. They can then add notes and even follow you on LinkedIn. How many Americans have a smartphone? Today, 77% of Americans have a smartphone, which is 42% more than 5 years ago. But the business card is still alive today. It's a way of acknowledging professionalism, even if it gets thrown out or scanned into a smartphone. It's the act of handing out the card that matters. Business cards continue to hold an important role in a business. Creating the right business card can help your business thrive in today's cutthroat world. Leave a comment about Business Card Statistics? Share on Facebook "Business Card Statistics"